We discussed last week the importance of establishing better habits and breaking bad ones and some tips to ease us into it. Bite-size actions really add up. This week, let’s go a little deeper. Wanting to change a habit is all well and good, but if it is strictly performance-based and reliant on our behavior, we may have a tougher time sticking to it. So what we need then is for it to be tied to our identity – how we see ourselves and then in turn how others see us. It can be especially tricky for the ADHD brain to stick to a plan, so this is even more important for working with ADHD mindset. Why do Identity-based habits work? If it’s a part of our core values, we will be more likely to make it a priority — a top-of-the-list, front-burner issue. How it works is deciding first, WHO YOU WANT TO BE and go from there. Here’s my 1-2-3 step for success in tying the value to the habit and action. Value: I want to be eco-friendly. Habit: I’m going to stop using plastic bags. Action: I’m going to keep canvas bags in my car for shopping and put them back in my car each time I’ve unloaded my groceries. Value: I want to be someone who keeps a tidy house and appreciates my belongings. Habit: I’m going to pick up my clutter each day. Action: I’m going to set a timer on my phone for after work and then again 30 minutes before bedtime so I can do a walk-through and put away anything I may have left out during the day. Value: I want to be someone who takes care of his/her body. Habit: Making smarter choices regarding exercise and eating. Action: I’m going to create a meal plan each weekend before I go shopping to ensure that I buy healthier groceries. I’m going to get up 20 minutes earlier in the morning so I can go for a walk before I shower. I’m going to keep healthy snacks like almonds in my car so when I get hungry I won’t drive through a fast-food restaurant. I’m going to eat a healthy snack before I go shopping so I will buy less. You can apply this 1-2-3 step from WHO you want to be HOW you can make it happen and WHAT you need to do to get there. When you break it down, it doesn’t seem so hard. This also works with breaking bad habits. For example, if your habit is smoking, create your identity mindset as someone who doesn’t smoke and harm their body with smoke. The habit to break is every time you THINK about smoking, try a mantra like, “I’m a non-smoker and it makes me healthier.” Then replace the action of holding a cigarette in your hand, with say, putting a breath mint in your mouth or chewing a piece of gum. See the outcome in your mind: someone who can resist smoking, who doesn’t need the addiction to cigarettes, who is making a healthy lifestyle choice. I encourage you to do this in any of the following areas where you would like to create healthier habits. Remember that song, “Hard Habit to Break” in the ’80s? Well, Chicago knew what they were singing about. A habit is hard to break because it’s so automatic, almost unconsciously performing the action. Therefore, to break one – in addition to building better ones – takes awareness and some work. In this five-part series, we’ll take a look at how to assess and actualize better habits so we can live more fulfilling, productive, and peaceful lives. To STOP a bad habit, we must first look at it objectively. Jot down when you do the habit and why you do it. For example, something as small as biting our nails can be a mindless bad habit that we don’t even realize we are doing at the time. When you catch yourself doing a habit, stop and ask yourself, “what am I feeling right now?” Anxious? Scared? Alone? Now ask yourself what you could do to replace that bad habit with a healthier one. For example, you could take ten deep breaths and repeat a mantra instead of biting your nails. Also look for tricks that can help you break the habit, including changing your schedule. If you typically go to the fridge after work to get a snack, go to your bedroom and change your clothes first. Keep a healthy snack – such as almonds – in the car to keep you from the fast food drive-through. The switch in routine is a physical way to remove yourself from the space where the habit occurs. You could also link a new habit with an old one. If you are trying to go to the gym twice a week, do so right after work instead of heading straight home as it will be harder to leave once you are there. 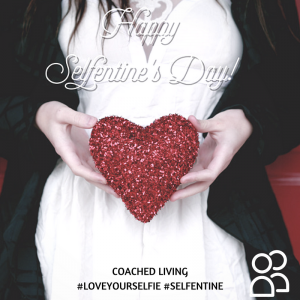 Consider rewarding yourself for better behavior with a gift you’ve been wanting or a place you wanted to go. Consider getting an accountability partner to help you – especially nice if better health is a goal. Maybe that friend or neighbor can go on walks with you because it’s harder to stay in bed if it’s just you walking alone. Accountability is one of the key roles I play for my clients. I will send them reminders or touch base at certain times to help them stay on track. The rule of thumb has been 21 days (or times) to establish a new habit. That might take longer for those with ADHD, so grant yourself extra time and be patient with yourself. Remember to start small and add from there. If your goal is meditation or yoga 20 minutes a day, start with five minutes. Add an extra five minutes each week until you’ve gotten up to 20. Remember establishing the new goal may not be “fun” or pleasant and so our reward system may not kick into place until much later. If you want to switch from cream and sugar to black coffee, at first it may taste terrible, but after those 21 cups 🙂 your taste buds will be more used to it. Give it time. The challenge for those with ADHD is to give yourself reminders and stop the negative self-talk because memory and perfection can get in the way. Just because you may have tried and failed to break the habit or instill the new one in the past doesn’t mean you can’t be successful this time. Write down your goals somewhere you can see them, such as on your bathroom mirror or on a paper on your nightstand so you can remind yourself each day to focus on it. I’d love to hear the habits you would like to make or break and your progress. I believe in you! Is “framily” the new family? It’s true friends can feel just as close as family – and in some cases – even closer than blood relatives. One popular trend is taking a Framily Vacation – which can include a mix of friends and family or even all girls “girls’ trip” or “bro-cation” if it’s an all-male trip. 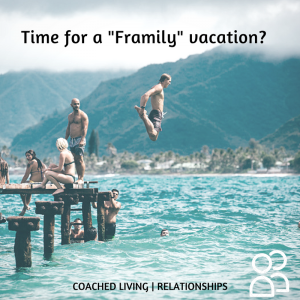 As a friendship coach, I discuss the value in good connection, communication, and companionship – all of which can be accomplished by “getting away from it all” and unplugging together. I’ve asked Lindsey Martin, travel consultant at Nichols Travel based in Edmond, OK to provide some basic tips on planning a framily vacation this summer. 1. Planning is half the fun! Have get-togethers to get everyone’s thoughts and ideas and a budget. You could create a Facebook Group Page to help with communication and bouncing around ideas and sharing links to places you are considering. You can also create a Pinterest group page to share ideas and inspiration. You can make the board Private if you only want a few sets of eyes to see it. 2. Pick a destination that has something for everyone. Thanks, Lindsey. Readers, keep in mind that just like your own family, in your own friend group, you may have diverse personalities, living styles, and income levels. Consider doing some activities together and giving each other some free time to explore on your own or pair up for things certain members of the group wish to do. Maybe one set would like to hike while the others would prefer to shop. Eat in or dine out? Do you know if your friends are early birds or night owls? All things to discuss before you make the trip together. If it’s your first vacation together, consider a weekend trip first to see how the group meshes before a longer stay away. The plus-plus is that friendships do feel our souls so making time to spend together will create memories you can share together forever. 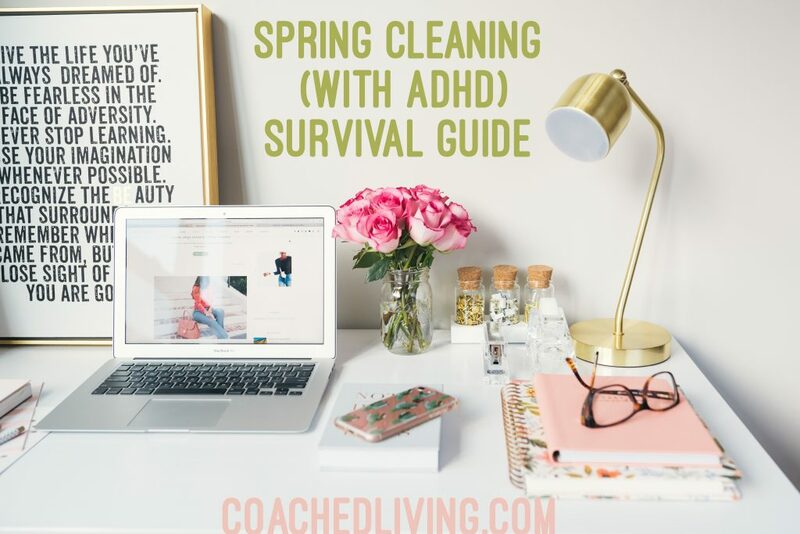 Just the word “spring cleaning” can put a groan in our throats, and that goes double for those who live with ADHD (or literally live with someone with ADHD.) Yet order and structure are important and a clean and de-cluttered house is good for everyone. With the spring sun shining bright, every dust bunny seems to have come out to play! Here are some tips that might help it seem more manageable. I’d love to hear your feedback, and good luck! Begin with a plan and timer. Plan out what you want to achieve and the amount of time you are willing to stick to it. So, for example, you might make a big list first and commit to thirty minutes for each room. Decide if you’d like to go ROOM by ROOM or TASK by TASK. Would you prefer to clean the floors (and baseboards) in the whole house OR just clean the living room from top to bottom and then move on to the next room? The benefit of one task is that you could divide that up by skill level in your household so your teen could vacuum the whole house while another person cleans windows and a third person dusts. It may not be possible to get it all done in one day. What about three consecutive Saturdays instead? Declutter and organize first. A lot of people never get to the actual cleaning part because “picking up and putting away” takes so much time. So make “organizing” its own to-do and have that done before you actually start to clean. All hands on deck! Always nice to start with a neat space. One trick to keep from being distracted is to do piles (one trash, one donate, one put away in another room) and then wait until you are done with the room to put things away or you might just move on to something else and forget what you were doing. This handy chart is a great reminder of things we need to look for to throw away. Why do we save those darn Happy Meal toys, anyway? Add music. Because distractions are inevitable as we start cleaning, play some loud music you like or plug in your earbuds and listen to a podcast so you can stay focused on your task until your time is up. Have your supplies handy. Save time and stress by making sure you have all the cleaning supplies you will need for that task with you so you don’t have to run all over the house looking for them. A bucket that’s easy to carry with you is a time saver. Clean first, then fun. Use a reward system for yourself and write down on your to-do sheet what that reward is so it motivates you. When the task is complete, then you get to watch your favorite Netflix show or leave the house to go to dinner or meet friends or whatever works for you. Happy Spring and Happy Spring Cleaning! When we were kids, making friends was so much easier. All you had to do was showup. Just going outside to play, you were guaranteed friends. Showing up on the playground at recess meant you would be able to join a tetherball game or mess around on the monkey bars. So why does it have to be so hard now? Could it be you stopped showing up? Where is this new gathering place for adults? Where is it that you can go to “just show up”? It could be as easy as taking a walk with your dog. After all, you will most likely encounter other dog walkers. It could be just showing up at the yoga studio or gym. There would most certainly be other people there with whom you could exchange a few words. What about that class you saw advertised online that you thought would be fun? Chances are other like-minded people would also find it to be fun. There are literally hundreds of places we could go and just “show up”. But is it really all that easy now that you are all grown up? The short answer is “no”. It isn’t easy. It takes some effort on your part. 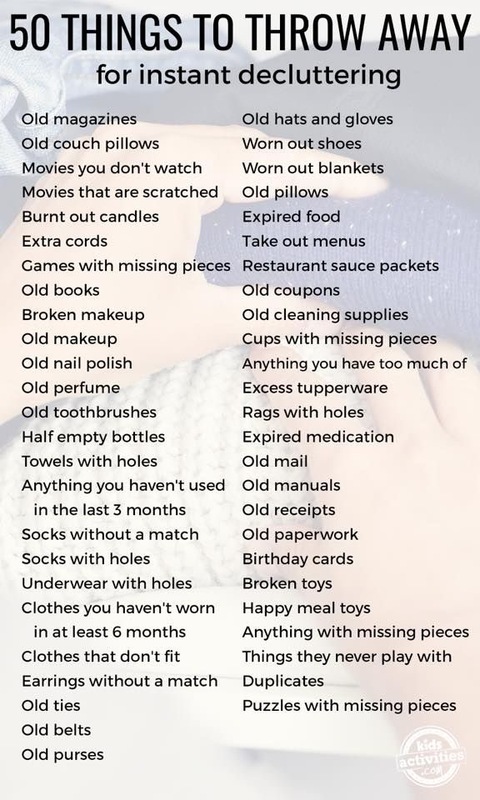 I could easily create a list for you of “things you need to do” to take it to the next level, but I’m doubtful it would do much good. The issues are more inside of us than they are outside of us. We need a strong foundation, an understanding of how our minds are working before we venture out into the friend world to find “that perfect friend”. Here is the question: can any one person really fulfill all of these requirements? It’s doubtful. I think we need a “community” of people who are friends at different levels to support us. When we don’t have this, life gets hard and feels lonely. When “just showing up” isn’t enough, I can help. Are you ready to start on this friendship journey? This is the journey we take in Friendship Coaching. When you are ready, I’ll be waiting. 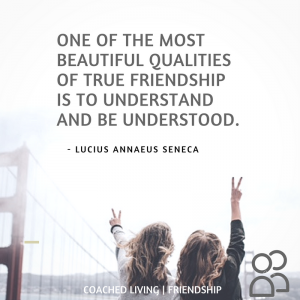 I would love to guide you along the journey of finding the friends in your life where there can be mutual support, respect, and love. You know what I really love about the new year? It’s a brand new start. It’s a clean slate! No matter the difficulties you had last year, January 1st gives you the perfect date to start again and try new strategies and techniques to make the upcoming year the best it possibly can be. If you have ADD/ADHD, a worthwhile goal for the new year might be to start building new friendships and expand your social circle. Having a number of good friends can be a wonderful resource to help you better manage your ADD/ADHD. A solid support system of family and friends can boost us up when we feel down and give us the help we may sometimes need to get through difficult times. Basically, friends can make us happy, and that is what really makes life worth living. So, the million dollar question is, how can we form new friendships in the new year when we have ADD/ADHD? Half of the battle of making new friends is meeting new people, and this can be a struggle for everyone, ADD/ADHD or not. Getting out to public social events can require a lot of energy, let alone the energy required to meet random strangers and engage them in conversation. In this kind of a situation, the internet can be a lifesaver. There are tons of Facebook groups that are entirely focused on developing new friendships. 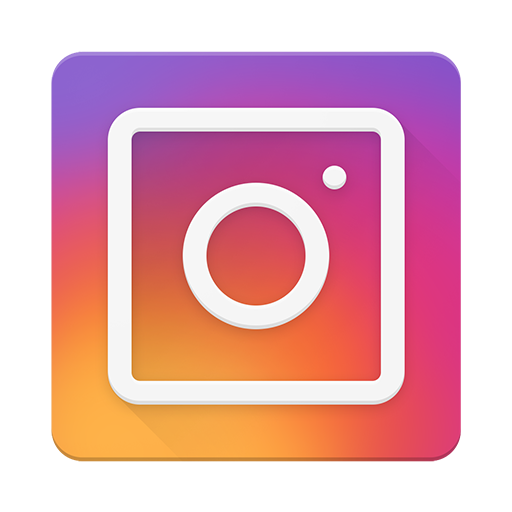 If you find one for your area, you might be able to connect with others who are looking to expand their social circle. Just be sure to properly vet the group, and anyone you talk to on there, first. Closed groups that require permission from the admins to join are probably your best bet here. You could also look into clubs and societies in your area that involve pastimes that you love. If you enjoy board games, you might be able to find a monthly event where strangers get together to play some. If you think that a ADD/ADHD support group might help you meet others who share in your difficulties and develop new friendships, check online for some in your area. For those in post-secondary institutions, the new year can be a great chance to renew and strengthen those friendships you made in your first semester. Joining clubs or other organizations is even easier when you are in university or college. Simply check online, or go to a gathering place like the library, and take a look around. You can usually find flyers, brochures, and other advertisements for a variety of clubs and other opportunities for social gatherings. Just make sure you do some research on these groups before you join, to make sure that it will be a good fit. A lot of the difficulties that face those with ADD/ADHD is a lack of understanding of the condition. Everyone out there THINKS they know what ADD and ADHD are. Most of them don’t have a clue. This can put a lot of stress on friendships if the other person simply doesn’t understand the symptoms you are managing on a daily basis. Perhaps explain to them that ADD and ADHD aren’t the same thing. Yes, they are similar conditions, but they can manifest in different ways. Make sure you map out exactly what you are going to say, maybe write it out on paper first. You should address the stereotypes of ADD/ADHD ASAP, to let your friends know exactly how ADD/ADHD affects you and how it doesn’t. You probably don’t want to “lead” with this when forming a new friendship, but once you get to know the other person better, sharing this kind of thing with them might strengthen a bond between you. It can be difficult to “find” the time to spend with friends. For those with ADD/ADHD, a spur of the moment hangout might not be an option. If you have a calendar on your wall, or a planner on your desk, take care to schedule friend-time on days when you haven’t already expended your energy or another project or social engagement. The more planning you put into a hangout, the more comfortable you might feel once it starts. The bottom line is this, forming friendships can be hard. 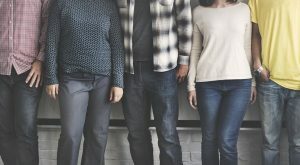 When you move to a new community, or start a new school, or simply lack a social circle in your area, you might not know how to form these kind of connections. That’s what Friendship Coaching is for. In my Friendship Coaching program, I help you take stock of where you are right now in terms of your friendships and where you want to be. I can guide you to figure out exactly what you want out of a friendship and how to improve your current relationships. As an experienced ADD/ADHD coach, I know the difficulties some have with developing strong relationships with others. They might feel as if their condition is standing in their way, or they simply don’t know how to reach out and meet new people. If you’d like to start this year off right, with the aim to develop stronger relationships with your friends, please feel free to contact me today. 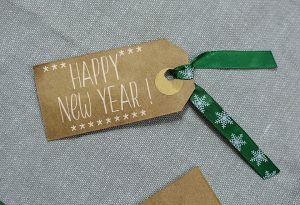 The beginning of a brand new year is a blank slate, it’s a chance to start again! That’s why people make New Year’s Resolutions, because they want to make big changes in their lives. But the reality is that new year’s resolutions are rarely successful and are usually forgotten about by the middle of February. Why is this? When most people come up with a New Year’s Resolution, more often than not, it is more of a wish that a goal. “I want to lose 15 lbs!” OK, how? “I want to double my income!” Right, by doing what exactly? Instead of resolving to take action to improve their lives, they just resolve to “do it” without a plan. They don’t bother to develop new habits and routines, they just sort of expect things to change by themselves. And, as someone who has ADD/ADHD, you know that if you want things to change, you have to work at them! New Year’s Resolutions for sufferers of ADD/ADHD can be sources of stress and frustration, especially if you make one that is too ambitious. You might enter into the year with good intentions, but soon lose track of your resolution, just like everyone else does. So, instead of talking about resolutions, let’s talk about goals and the steps you need to take to reach them. Here are a few possible ADD/ADHD goals and strategies for the new year that, with work and effort, you can really change the quality of your life for the better! It can be so easy to lose track of time when you have ADD/ADHD. You might get hyper-focused on a task and later discover that you were late for an appointment. Or you might simply lose track of time throughout the day because you are lacking a focused schedule. Whatever the reason, there are steps you can take in the new year to help improve your sense of time. If you find yourself struggling to get ready for work, try to get up just a little earlier each morning. Even 15 minutes can make a huge difference. You actually have a little bit of help with this one, your morning alarm. Just set it to go off 15 minutes early every day! Speaking of alarms, they can be very useful to keep you on track throughout the day. If you need to be at an appointment, set a reminder or alarm on your phone to go off with plenty of warning. Put alarms and reminders into your phone for your entire daily schedule. Basically, you will be just “outsourcing” your sense of time to your smartphone. One thing that can be very helpful for those with ADD/ADHD is to keep track over what they did that day. Yes, “did”, as in past tense. This fits into the category of “gathering data”. It can be very helpful and enlightening to see what you’ve actually accomplished over the course of the average day. It might be more than you think! If you look back and think, “Gee, I did nothing today…”, don’t beat yourself up. Take that newfound knowledge into tomorrow with an eye on how to improve on it. Compare your daily “to-do” list to your “finished” list, move items around, see when certain tasks are more likely to get done at certain points during the day. For example, you might discover that you prefer to do your laundry at night rather than the day. Maybe you will find that you tend to do the dishes in the morning, rather than the afternoon. 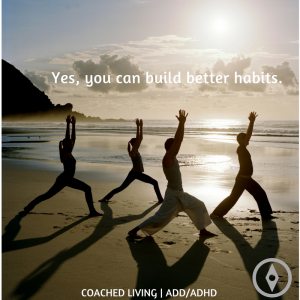 By gathering data about your ADD/ADHD habits, you can start to see patterns of behavior that, when acknowledged, can be adapted and improved upon. This might seem like a fairly vague goal, almost a “resolution”, but if you aren’t already getting help, finding some can be one of the most important changes you can make in the new year. Trying to tackle a condition like ADD/ADHD by yourself can be difficult, to put it mildly. Your symptoms and reactions can make you feel isolated, like you are different from other people. You might trouble forming lasting relationships with other people, romantically or platonically. Or maybe your current relationship is suffering because of your symptoms. This can further isolate you and keep you from seeking the help that you may need to better manage your symptoms or your emotional and mental state. Help can take the form of an ADD/ADHD coach, a medical professional, a family member, or a friend. Sometimes, one can be the gateway to another. If you contacted me, for example, and we started talking about your ADD/ADHD symptoms and management strategies, I might direct you to talk to your family about some things that they can do to help you every day. I might suggest that you go to see a medical professional about getting some medication to better manage your symptoms. By just seeking out help from one person, you could start to develop an entire network of support. You may also want to investigate joining an ADD/ADHD support group in your local area or online. By meeting others who suffer from the same condition, even if your exact symptoms are a bit different, you might discover a wider community of people and support that can help carry you through the new year and beyond. Even if you don’t believe in New Year’s Resolutions, January 1st is still a great starting place to make real, lasting changes to your life and outlook. 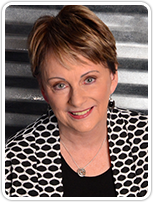 As an experienced ADD/ADHD coach, I’ve helped many with ADD/ADHD develop concrete goals for their future and make some real, positive changes to their lives. If you’d like to talk about some other ways you can change your life for the better in the new year, please feel free to contact me. Happy holidays to everyone out there! So many people just can’t wait for this time of year. Many call it a winter vacation, even though there is usually very little relaxation associated with it. Indeed, for some, the holidays can be one of the most stressful times of the year. There is just so much to do, especially if your focus is being pulled in a hundred different directions by your ADD/ADHD. 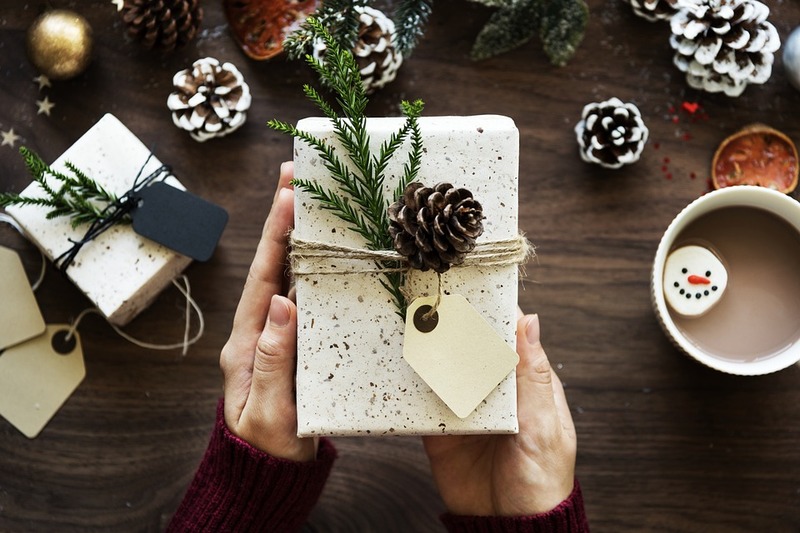 You need to find and buy presents for friends, decorate your home, send out cards, prepare meals, attend parties, get ready to see your family, and finish all of your work before the big day hits. That can be a heck of a lot of stress for anyone, let alone someone with ADD/ADHD. The really sad part about this is that the holidays are supposed to be fun! It’s a time of celebration of family and friends! So the question becomes, how can you manage your ADD/ADHD to effectively navigate the stressful challenges of the holidays? 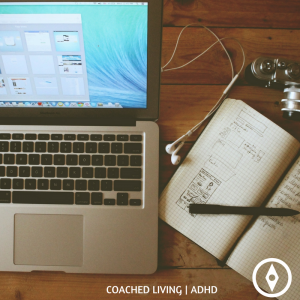 Creating schedules and to-do lists are powerful strategies that many with ADD/ADHD use on a daily basis to help manage their lives. Schedules can give your day structure, it’s basically a road map to get you through everything that needs to be done. At the beginning of December (or even earlier), create a schedule that you can follow over the next month, right up until New Year’s. Your schedule should be flexible to allow for bad days and unexpected events, while still laying out your path for the holidays. Try as best you can to keep your usual daily schedule in place for the majority of the month, with the understanding that you probably won’t be able to follow that routine on the actual holidays themselves. One of the biggest pressures of the holidays is the feeling like you need to find the perfect gift for everyone in your life. You might have that feeling that, if only you put a little bit more thought in or searched a little more that you will figure it out. I have a suggestion for you: release yourself from the tyranny of the perfect gift! The people in your life will appreciate your presents, no matter what they are. It’s truly the thought that counts. If you want something that says, “I know what you like” without putting too much energy into individual presents, believe me, gift cards can be a blessing. But if you do want to go on a present hunt, I recommend avoiding the mall, especially around Black Friday or closer to the holidays. It can be absolutely crazy and overwhelming for some people with ADD/ADHD. Using a variety of online retailers, such as Amazon, can be a huge relief. You don’t have to worry about braving the crowds, online retailers cut out all of the stress by just send the presents to you! This one’s a bit of a double-edged sword. If you have the ability to become hyper-focused on activities, then doing your holiday cards might be a snap. You just sit down, sign your name on them, put them in envelopes, slap on a stamp, and head down to the mailbox. If, on the other hand, your ADD/ADHD presents itself with a lack of focus and an inability to keep your mind on track, then writing out holiday cards can seem like an almost impossible task. So try this instead: eCards. There is absolutely nothing wrong with sending all of your friends and loved ones your holiday wishes in email form. This method doesn’t require you to sit down and focus for hours on end. All you need to do is write out a lovely holiday greeting, maybe add some digital graphics, and send them to everyone on your email list. There are also a ton of online holiday card services that can send a more polished “card” to your friends and family, often for a cost less than that of physical postage stamps. I actually talked a lot about a similar situation to the holiday dinner just a few weeks ago in ADD/ADHD Thanksgiving Management. I’ve always found it so odd that we pack the two big “family” cooking events so close together. You finally recover from the stress of one and BOOM, there is another one right behind. One great way to cut down on the stress is to just not cook. If you have a big family, alternate Holiday and Thanksgiving dinners. That way, if you took care of Thanksgiving for your family, you can just head over to your relative or friend’s and gnaw on some turkey without any stress whatsoever! Seriously, if you are feeling overwhelmed with the season, if you are having a bad day, if you are feeling scattered and the idea of heading out to a holiday party gives you chills, just say, “I’m sorry, I can’t make it. But I hope everyone has an amazing night!” It will instantly take the pressure off and you will feel much better. Of course, this isn’t saying that you should use your ADD/ADHD as an excuse. If you genuinely want to go to a holiday party, even if you are feeling stressed out, then go! But don’t feel that you have to accept every holiday invitation that comes your way. A lot of my holiday advice boils down to this, “Streamline the season”. When you have ADD/ADHD, you might feel like you want to do everything holiday related, but you just don’t have the time. By sitting down and taking stock of everything you NEED to do for the holidays, you can then figure out how much time you can invest in the things you WANT to do. Time-management: it’s the ADD/ADHD gift that keeps on giving! If you’d like some more advice about how to manage the holidays when you have ADD/ADHD, please feel free to contact me. As an experienced ADD/ADHD coach, I’ve helped many people rediscover their love of the season, helping them figure out ways to get everything done. Remember, the holidays should be fun, so get rid of all of the unnecessary headaches and stresses and have a wonderful time! Have you ever picked up a book, fully intending to read it, only to lose interest just a few pages in? Or have you ever been reading a book then your mind starts to wander, you space out, and then you suddenly realize you’ve read three pages but don’t remember a thing? Reading with ADD/ADHD can be very difficult. You may struggle with memory issues, or you may feel like reading just takes way, way too much time. As per usually with ADD/ADHD, your personal experience could be very different when it comes to reading books. 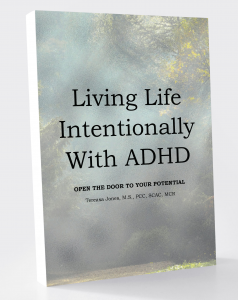 Some folks with ADD/ADHD can hyperfocus, allowing them to plow through an entire book in record time. Others can barely read a chapter before completely losing interest. 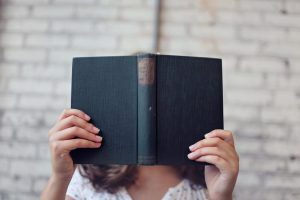 There are a few different ADD/ADHD strategies that you can use to help your reading comprehension and maybe even get you to the point where reading can feel like a fun leisure activity! For some people, reading for pleasure is the ultimate escape. They can get into a good book like a warm bath, spending hours in another world. For others, reading for pleasure can be extraordinarily boring. It’s just words on a page, how do you get into that? If you have ADD/ADHD, there is a good chance that reading for pleasure can seem like far more work than it is worth. But there are a few strategies that can help you to enjoy the experience. Similar to many ADD/ADHD strategies, proper scheduling and time-management is key. Just sitting down to read can be very difficult if it is completely unstructured time. Schedule your reading, like you would anything else in your day. Or, instead of sitting down to read for an hour, give yourself goals. Say, “I’m going to read two chapters today.” and stick with that. If you find your focus keeps getting broken, you should take frequent breaks. Many people look down on comic books as just for kids, but that is a very limited point of view. There are brilliant works of fiction that have been written in comic book form, and they can be perfect for adults with ADD/ADHD (or anyone else for that matter). Fairytale works like “Bone” by Jeff Smith or the superhero-deconstruction comic “Watchmen” by Alan Moore are considered to be classics, well worth a read. The mixture of words and pictures can help someone with ADD/ADHD maintain their focus, as there is more stimulation on the page than just letters. And, as comic books are usually released in monthly issues, they are already divided into easily manageable chunks. Struggling with reading can especially be a nightmare for students. The work can really pile up when you are in college or any other post-secondary education program, especially around exam time, making studying a major problem. A great study tip is to make reading more active. Don’t just read the words on the page, try taking lots of notes as you read. Highlight things in a book to reinforce important passages. Reading out loud can be a great strategy for absorbing what you’re reading. It can be a bit slower, but if you really need to work to remember a passage, speaking it out loud will help you retain the information. Reading shouldn’t be a passive exercise, you should do things that help you get engaged with the words on the page. Just like with reading for pleasure, make sure you schedule your reading and studying. Break everything up into more manageable chunks. If you find your attention wandering, move onto another subject rather than try to fruitlessly power through. Audiobooks are fantastic. Yes, they are a completely different method of “reading” than picking up a book, but that doesn’t make them any less enjoyable. The great thing about “reading” an audiobook is that you can multitask while you do it. Need to clean the house? Put on an audiobook to listen to while you tidy up. Want to go for a walk or have some exercise? Toss on a pair of headphones before you go. If you find the audiobook is going a bit too slow for you, most audiobook apps (like Audible or Apple Books) allow you to speed up the audio without changing the pitch of the reader. So you will be able to get through the book faster without it sounding like Alvin and the Chipmunks are reading it to you. Here is another little secret about reading: the more you read, the easier it will become. It’s like a muscle, by training your brain, you will be able to improve your reading comprehension and speed. This is true for both people with and without ADD/ADHD. At first, it can be quite a struggle to get through a book, but the more you read, the better you will become at it. As an experienced ADD/ADHD coach, and someone who loves books, I love to help people learn strategies that will increase their enjoyment of reading. Please feel free to contact me today and we can get you started on the path of greater focus and control over your ADD/ADHD, especially when it comes to words on a page!